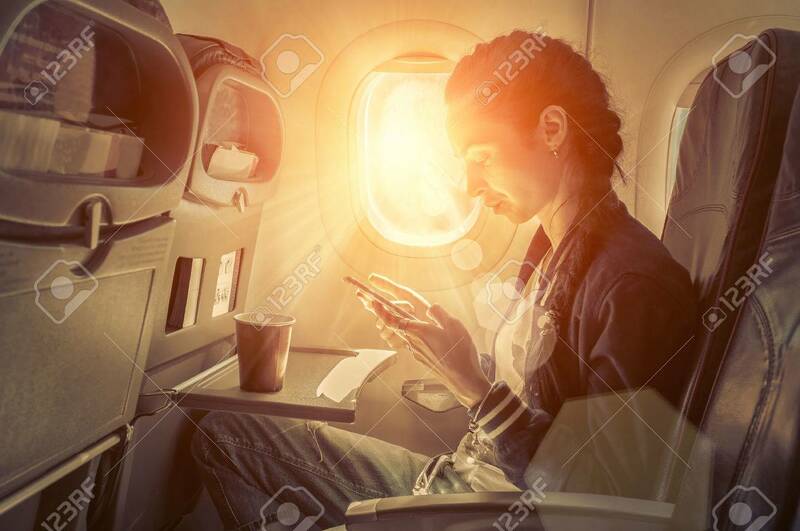 Woman Sitting At Airplane And Looking To Mobil Phone. Royalty Free Fotografie A Reklamní Fotografie. Image 48723073.